One of a kind the Bella Vista carved from travertine. This gives this beautiful French design a rustic antique look like no other. 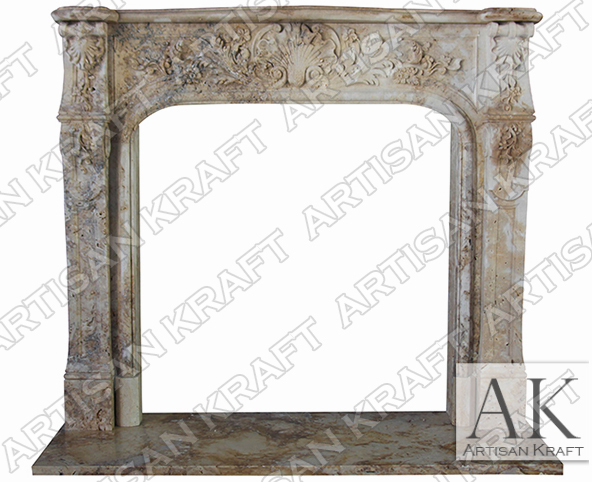 If your desire is to own an antique or historic fireplace surround consider getting it carved fro travertine. We loved this model mantel so much that we installed it in our Chicago showroom. Our Los Angeles showroom is coming soon and we will most likely have it installed there as well.